My youngest nephew will be starting school in September. As part of his orientation package, he received this box of crayons. I had never seen these before but apparently they have been around for a few years. 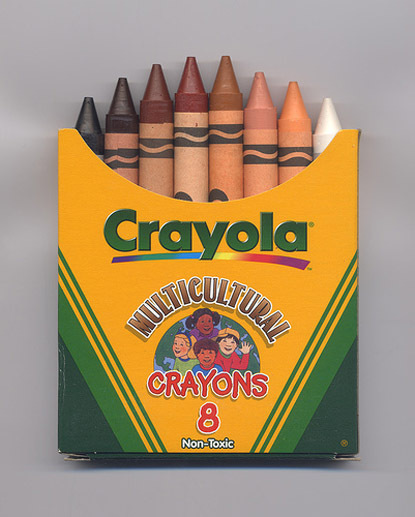 This box of “multicultural” crayons, according to Crayola, are “an assortment of realistic skin tones” produced in response to the demand from school teachers. 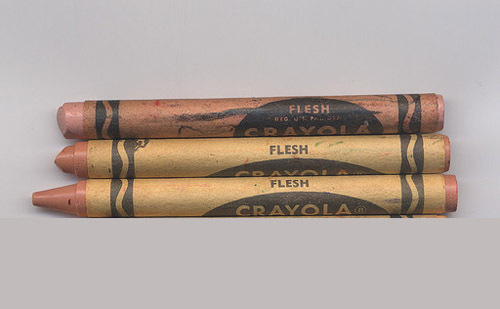 Crayola had an original “flesh” coloured crayon which was renamed peach in 1962, partially in response to the U.S. Civil Rights Movement. This, of course, was a very appropriate change which really should have happened earlier. If not just for the racist implications alone, but also for the gross factor. Just a little too Hannibal Lecter for my tastes (pun intended). The thing that gets me about this “multicultural” pack, however, is that all of these colours are included in regular packs of crayons. None of them are new. They haven’t even been given new names. So, except for the sepia, all are included in a pack of 48, which is the quantity you would have to buy to get that original “flesh” which we now call peach. So how have things changed now that they are packaged on their own? Well, now my nephew has been given eight solitary crayons with which he can do amazing drawings in a palate of brown. Oh, and black and white… don’t let me forget those. For some reason, these are included in the pack of realistic skin tones that are meant to remove the stereotypes about skin colour. Does anybody else see the irony? 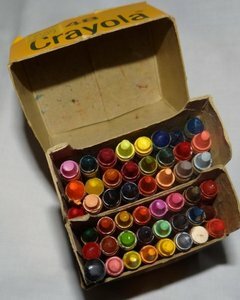 This entry was posted in General and tagged Crayola, Crayon, Family, Funny, Human skin color, kids, multicultural, U.S. Civil Rights Movement. Bookmark the permalink.